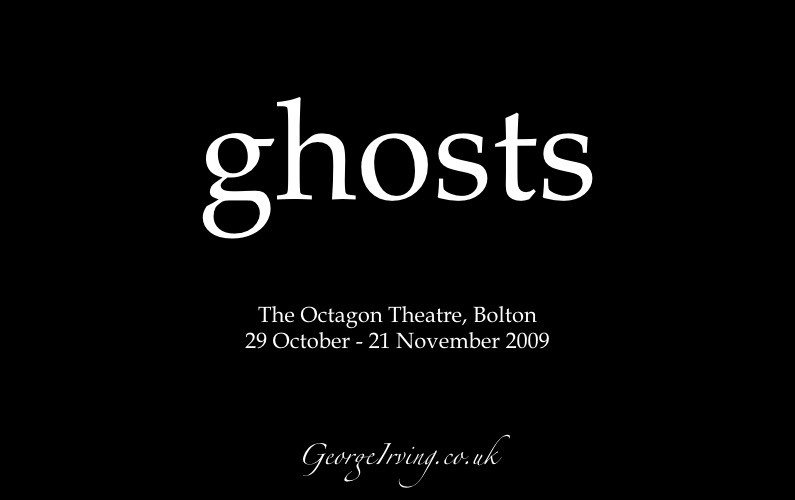 After the run of All My Sons George will also be starring in the next Octagon production, Ghosts by Henrik Ibsen, running from 29 October 2009 to 21 November 2009. Written in 1881 and first staged in 1882 Ghosts is in the tradition of Ibsen’s work, a scathing commentary on the morality of the time, addressing a subject that his public deemed indecent and shocking. This production is set in Lancashire in the late 19th Century. As with All My Sons, Ghosts is again directed by David Thacker in his new role as Artistic Director of the Octagon Theatre. GeorgeIrving.co.uk is a site dedicated to the work of British actor George Irving. He is probably most well known for his portrayal of Anton Meyer in Holby City. However, he has made regular appearances on TV since the 1970’s and his first TV role in ‘When the Boat Comes in’ (1976). Since then he has appeared in numerous classic series including The Sweeney, The Professionals, Dempsey and Makepeace and Bergerac. He has also had starring roles in Holby City, Dangerfield, The Best Man, Dalziel and Pascoe and the BAFTA nominated Wing and a Prayer. He has appeared in many theatre production including the 2006 touring production of The French Lieutenant’s Woman, Shining City, The Dying of Today, All My Sons, Ghosts, Landscape and starred in the opening production of the Bolton Octagon’s 2011-2012 season, Who’s Afraid of Virginia Woolf? George also appeared in Tyne at the Live Theatre in Newcastle as part of the Festival of the North East. George played Nick in Alastair Brett and Sian Evans’ play Gibraltar at The Arcola Theatre in 2013, followed by the title role in Julius Caesar at The Globe in 2014 and Agamemnon/Apollo in The Globe's production of The Oresteia the following year.